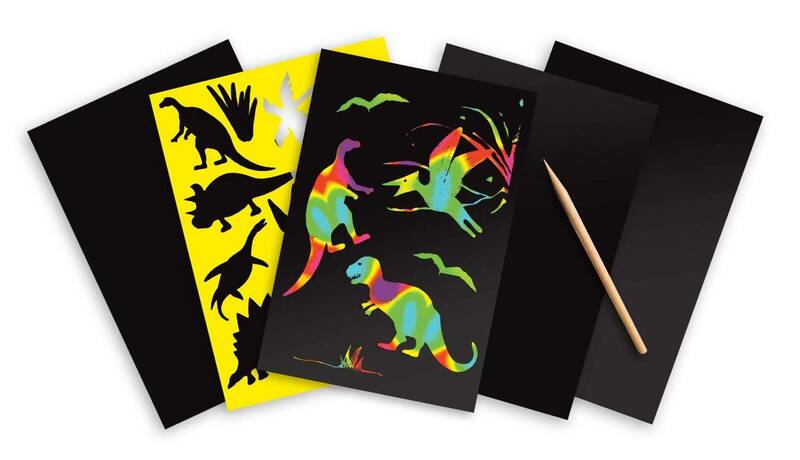 These four-sheet activity kits offer creative play and learning, too! 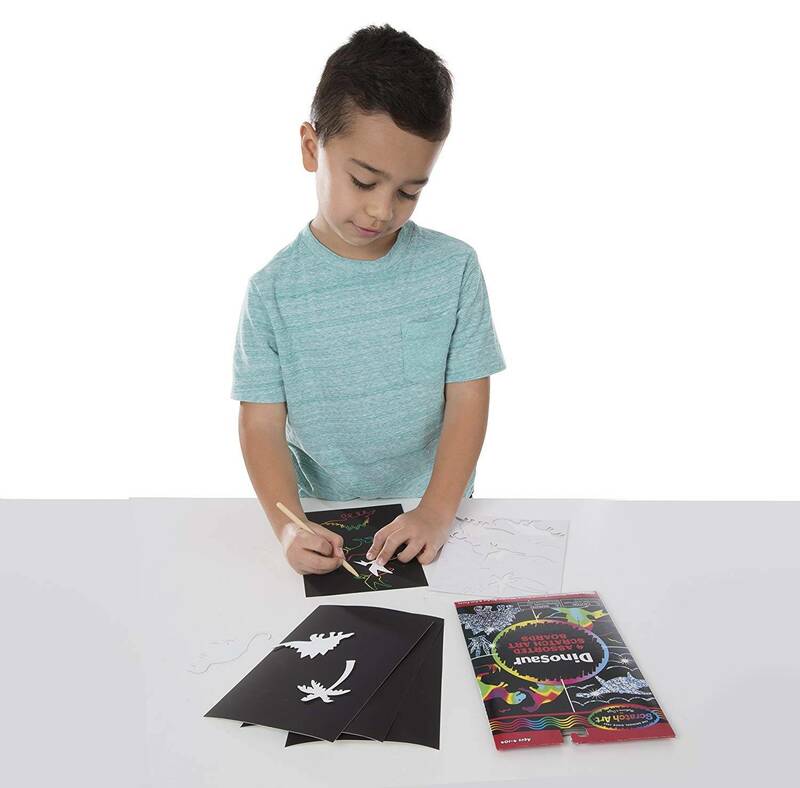 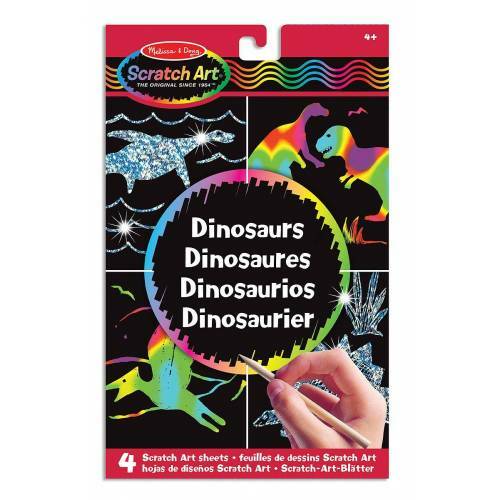 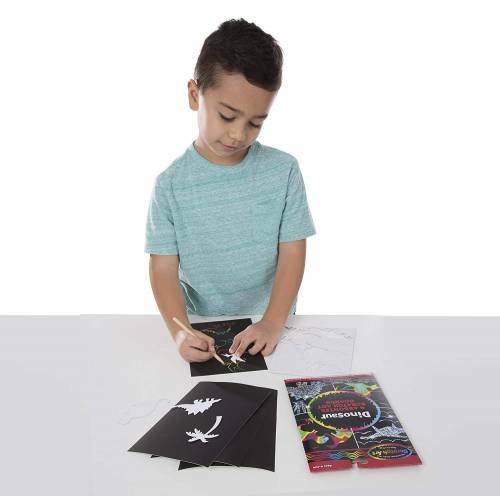 Trace the dinosaur shapes with the stencil and fill them in with your own designs to create holographic creatures. 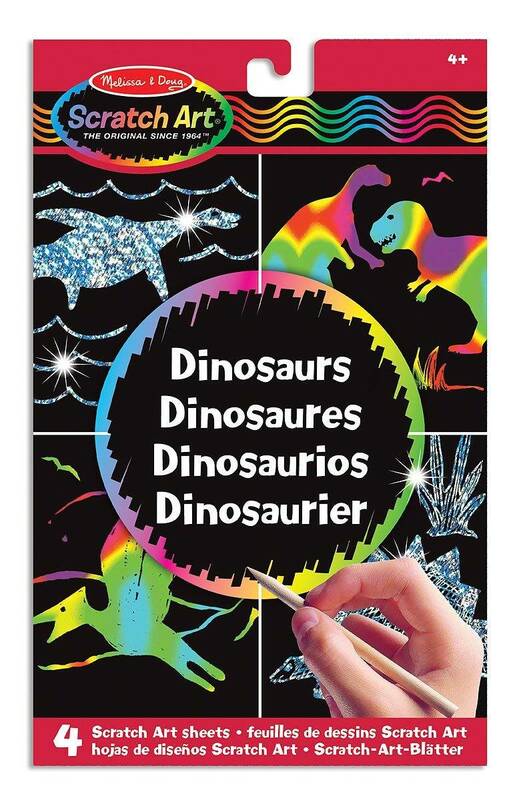 Then check out the included fun facts to learn about the real dinos who once walked on Earth. 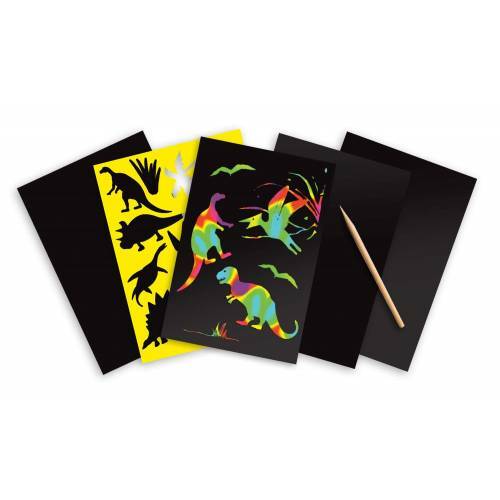 Includes 2 silver holographic and 2 multicolour holographic Scratch Art Boards.